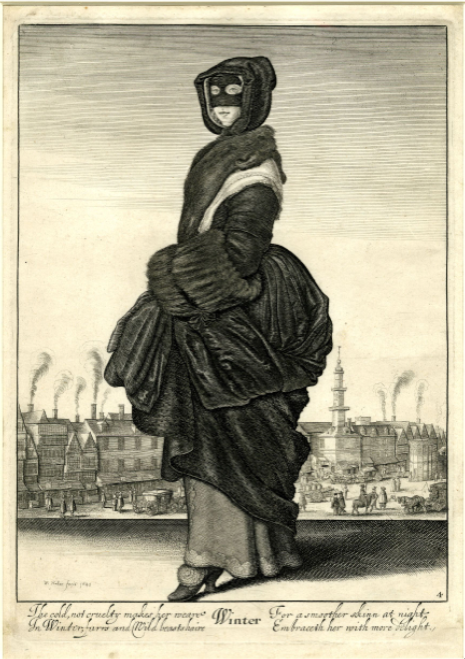 From the seasons set of engravings by Hollar. 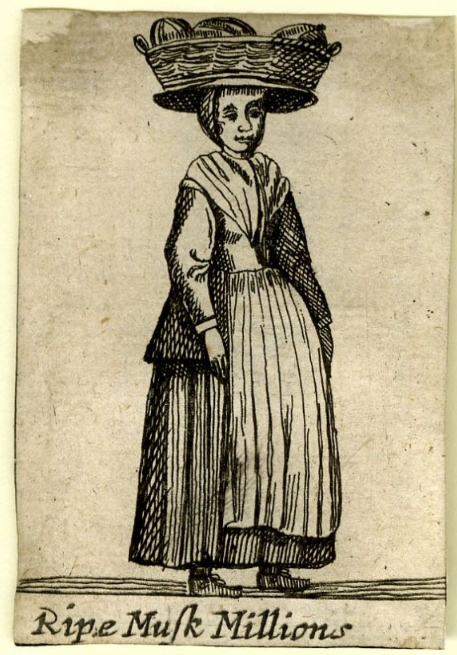 Again there are some interesting things in the details of this familar image. 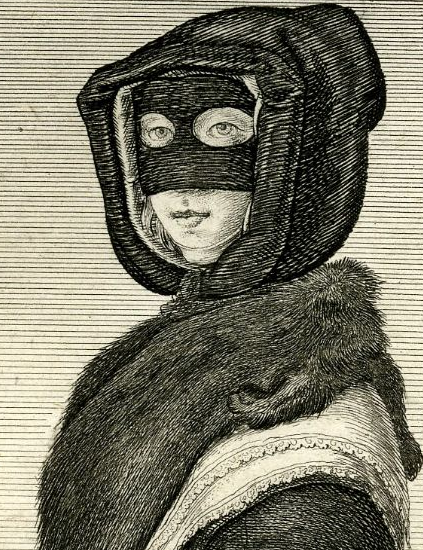 Here you can see clearly M’Lady’s mask and that she’s possibly wearing a coif beneath her chaperone. The string under her chin may be keeping it on her head. Two layers of lace edged kerchief under her fox (?) fur. A paw is visible on her shoulder. 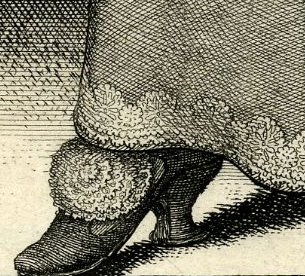 Good stout pair of lady’s shoes with a fancy rosette tie and lace or cutwork edge to her petticote edge and up the front. 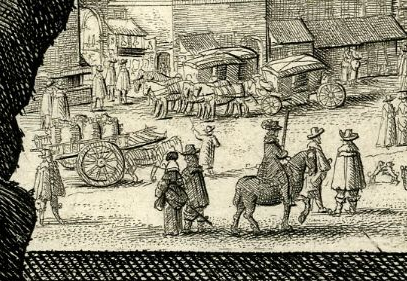 And a street scene. Cheapside in the background is really busy. Notice the dogs playing on the right hand side.